When I’m 64…or Older | Tory, Tory, Tory! 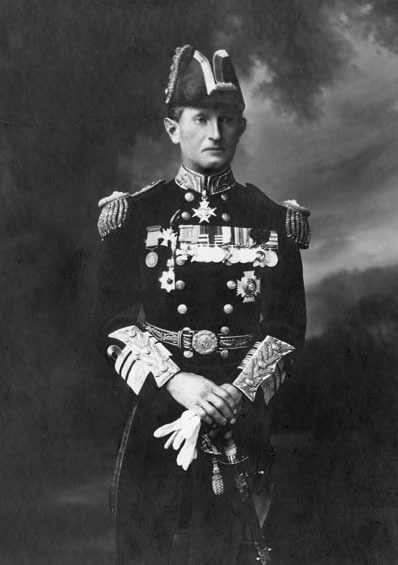 Admiral Walter Henry Cowan was born in 1871, joined the Royal Navy despite not attending school and while in his 20s took part in a few punitive expeditions against African tribes. Then he basically went AWOL and became chief-of-staff to Kitchener and Roberts during the Boer War, not bad for a sailor. Became an admiral during the First World War after an active period of sea-duty, and harassed the Bolsheviks during the Russian Civil War. Having been bumped up to Admiral in 1928, he retired like any sensible person at the age of 59. Then World War II came along. His Comrade in arms Roger Keyes (getting on a bit himself) was made Chief of Combined Operations, with responsibility for the Commandos. Cowan begged a chance for action and was given a rank 4 times lower than the one he held, and became “Naval Liason” to the army commandos. And then, at the age of 70 he decided to go into action with them. During the ridiculous see-saw fighting in North Africa the port of Tobruk fell to the Germans and Italians in 1942. Cowan was there, and started fighting with an Indian Army cavalry unit. Then the Germans advanced past him, and this 71 year old was left behind, and then decided to take on an armoured car armed with nothing but a revolver. Having shot down one of the enemy and been raked with machine gunfire, he fired his last bullet and walked out expecting to be shot. Instead he was captured, sent to Italy, repatriated in 1943 and was back on the front lines by the end of the year. For his services in the war, he was awarded a bar to his D.S.O., which for a septuagenarian is UTTERLY unique. And if you ask me quite awe-inspiring. This entry was posted on April 5, 2008 at 5:21 pm and is filed under Naval History. You can follow any responses to this entry through the RSS 2.0 feed. You can leave a response, or trackback from your own site.